This free workshop is geared for parents and is presented by the Penfield Children's Center. It will discuss the importance of reading to and with your child. Identifying and selecting age-appropriate books and tips for raising a reader will also be presented. Children are welcome to attend with their parents. Puzzles and coloring sheets will be available during the program. Registration is required for this program. Please register at the Youth Services Reference Desk or call 262-754-1814. Through generous support from Kohl's Cares, the Kohl's Building Blocks Program helps Penfield Children's Center support children throughout surrounding Milwaukee-area communities. 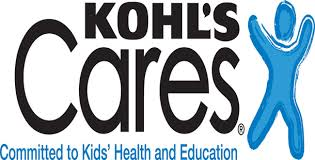 This comprehensive program from Kohl's Cares helps Penfield give children in need access to early educational and developmental programs, services and equipment. In addition, Penfield offers educational programs to parents and educators like the ones presented at the New Berlin Public Library for free. For more information about the Penfield Children's Center, please visit their website at www.penfieldchildren.org. You're welcome! Thank you for your interest.